22' Grey Wolf BH - K-Jack RV Rentals- Parksville, Qualicum Beach, Vancouver Island B.C. 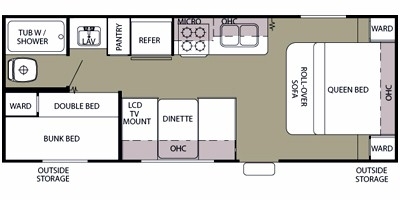 Our 22' Grey Wolf bunkhouse is a beautiful and comfortable family sized trailer. It has jack and jill bunks for the kids and a walk around queen bed for the parents. 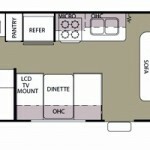 If extra seleeping area is needed the dinette converts to another bed. This fun trailer has LED lighting over the kitchen sink, the queen bed, and under the awning. Our Rates Day $110. Weekly $640. Sleeps 4-6, full bathroom, fully stocked kitchen, fridge, 3-burner stove, oven, microwave, double sink, air conditioning, outdoor mat, elec. awning & exterior shower.